(24-04-2012 09:11 PM)jilmad Wrote: If it weren't for the auto speed tester would you have noticed a difference? 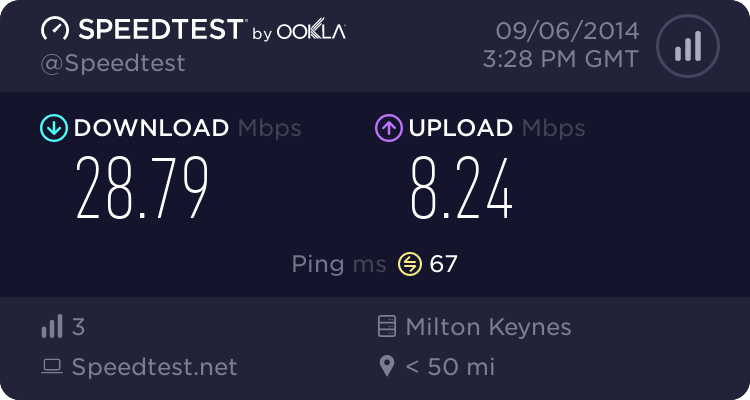 I've not noticed any speed issues with my connection recently. I missed this comment. Sorry! Anyway, here's a very late welcome to the board! 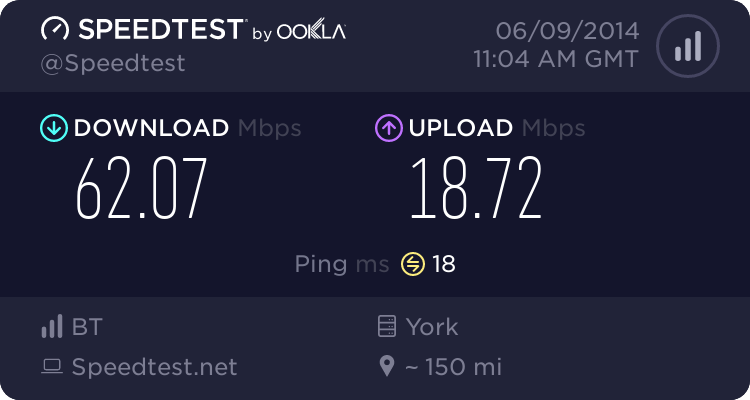 I wouldn't have noticed a difference because I don't really see anything that needs more than 15mb throughput anyway on the net..unless its usenet, but I do that outside peak hours. (10-05-2012 06:16 PM)LeJimster Wrote: Is this just Ask4 or are other DR ISP's getting a slowdown? I was actually considering moving to Ask4 last year as they were the established Sheffield ISP, and I wanted to remain local. But Origin is probably a better choice at this point. Wired/Wireless..Anything in the background using bandwidth?